Take advantage of an unfair advantage. Retraining your body and brain and turning on your fat burning almost seems like an unfair advantage when it’s applied to the sporting environment. 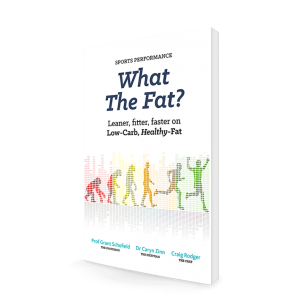 In this practical guide we present compelling evidence, inspiring real-life stories from very successful athletes, and simple ways to eat Low-Carb, Healthy-Fat.